Jan. 21, 2017 at the Hilton Downtown Columbus in Columbus, Ohio. The American Motorcyclist Association recognized its greatest champions and hardest-working organizers from the 2016 season on Jan. 21 during the AMA Championship Banquet at the Hilton Downtown Columbus in Columbus, Ohio. 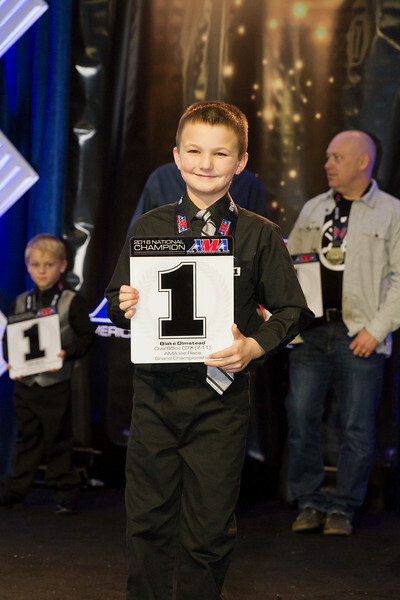 More than 500 racers and supporters watched as the AMA presented awards to the top three finishers in national and regional competition, and announced the winners of the prestigious AMA Racer of the Year Awards.